Over the years kitchens have developed with many new accessories ranging from simple storage units to high tech easy to use magical places to work. Today we are able to offer many accessories for kitchens, anything from simple storage ideas to state of the art electrical devices bringing your kitchen into the future. Our showroom showcases many different accessory items which have been installed into our displays. Below are links for you to see just some of the accessories on offer for you to include in your new kitchen. 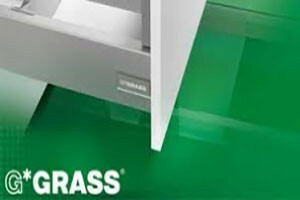 Grass are undoubtedly the most sophisticated accessories on the market. All of their products are manufactured in Switzerland to the highest of standards. To view this products full range please click on the Grass logo. 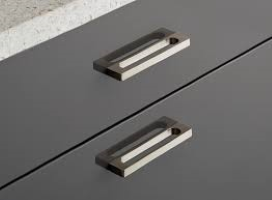 Church Kitchens offer a huge range of handles to compliment any kitchen ranging from contemporary to traditional. To view a full range of handles, please click the logo. 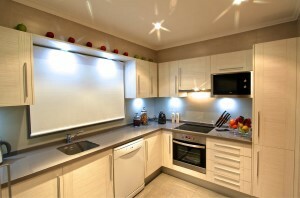 Lighting is a very important part of any new kitchen. Church Kitchens only use up to date LED Lighting whether it be traditional subtle warm lighting or modern white, integrated strips or spotlights. Whatever atmosphere you are looking to create Church Kitchens can supply and install lighting to suite every kitchen. 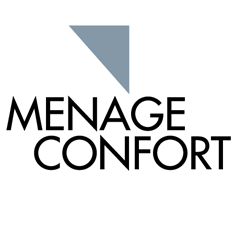 For value for money we strongly recommend our range of Menage and Confort. Offering a quality product Menage and Confort accessories can make use of all internal spaces to the maximum. To view this products full range please click on the Menage and Confort logo.